Except for the obligatory swipe at Israel's 'Ashkenazi discrimination towards Mizrahi Jews', this article offers a surprisingly frank record of the persecution to which Jews have been subject in Yemen through the centuries. The article, in Middle East Monitor, dates such persecution back to the 16th century, when Jews were reputed to have 'collaborated ' with the Ottomans. However other sources say that active persecution of Jews gained its full force when the Zaydi clan seized power from the more tolerant Sunni Muslims early in the 10th century. In a secret operation on Sunday evening, Israel evacuated 19 Yemeni Jews, leaving only 50 behind fearing that this precious minority which has contributed immensely to Yemen’s history may soon be no more. The video of the Jews arriving in Israel showed them wearing traditional Yemeni clothing, greeting friends and family in Arabic and removing a 600 year-old copy of the Torah from its case. In front of the world, this marked a bittersweet moment in their lives. They were flown to safety, but were forced to leave their rightful homes, because a group of extremists decided that they do not belong in their own country. “Curse the Jews” has been a Houthi slogan chanted by thousands each day. Posters of the slogan are plastered around Houthi-controlled areas. Given that the home province of most Yemeni Jews is Sa’ada, the Houthi heartland, they would have had to suffer such abuse daily. Many of the remaining Jews in Yemen now live in Sana’a, which was taken over by the Houthis in September 2014. The institutional marginalisation of Yemeni Jews dates back as far as the Zaydi Imamate, which was established in 897 CE and abolished in 1962. The first Imam, Yahya Al-Hadi Illa Haqq, wished to keep the treatment of Jews close to the way that Prophet Muhammad had treated them, regarding them as “Ahl al-Kitaab”, which translates as “People of the Book”. Attitudes towards the Yemeni Jews began to change noticeably in the fifteenth century when the regime’s jurist Imam Ahmad Ibn Yahya Al-Murtada wrote a book called Kitaab Al-Azhar, though historians still dispute whether the sentiments in the book were implemented at that time. It is important to remember that the Imamate did not establish an official monarchy over North Yemen until 1918. Before that, the Imams ruled with tribal and religious authority, often in competition with different dynasties. Extreme changes of attitudes towards the Jewish population in Yemen began after the Ottoman conquest of Sana’a. During the reign of Al-Mutawakkil Isma’il (1644-1676), there was a serious crackdown on Jewish rights as they were believed to have collaborated with the Ottomans in their quest to govern Yemen. Because of this, harsh discrimination got worse as tensions between the Zaydis and Jewish populations grew. This led to Al-Mutawakkil Isma’il’s successor, Al-Mahdi Ahmad, to conduct one of the most traumatic events in Yemeni Jewish history, the exile of Mawza. From 1679-1680 the Jews of Sana’a were forced to go to Mawza, which is now a district of Taiz, and confined in uninhabitable conditions; many died slowly and painfully. The marginalisation of Jews continued throughout the Imamate, but at different levels as policies varied from time to time. The tensions between the Jews and some Zaydis in the highlands of Yemen today clearly have a historical basis. It is an essential part of being a Houthi to perpetuate violent sentiments towards Jews, not only through rhetoric, but also through actions. Soon after the Houthi movement took up arms in 2004, it began to attack and displace the native Jewish population, starting with Sa’ada. In early 2007, the Houthis gave the Jews in Sa’ada an ultimatum to leave within 10 days, or they would be attacked in an attempt to expel them. Since then, they have been subject to such violent attacks that the Saleh government was forced to move them out of their homes to a compound within Sana’a, to protect them from further violence. This compound was built like a refugee camp and was barely sufficient for a competent relocation project. The Jews were also left out of the political process. When Ezer Ibrahim announced his candidacy for municipal elections in January 2001 on behalf of Saleh’s General People’s Congress party, he was rejected because of his Jewish faith. The systematic marginalisation, under-representation and ethnic cleansing of the Jewish population in Yemen by the government, tribes and non-state organisations has led to there being fewer than 50 Jews left in Yemen today. This is compared to the 350,000 Yemeni Jews in Israel, the 50,000 in the US and 5,000 in the UK, reflecting the distressing reality that they feel safer outside, rather than inside, their home country. It’s undeniable that their lives are much less at risk after their evacuation, but there is also the question of how the Yemeni Jewish diaspora will be able to preserve their unique and mysterious culture. 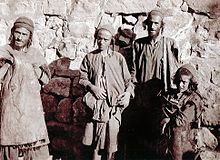 Israel is dominated by the Ashkenazi Jewish culture, which is attributed commonly to European Jews; the Yemenis are Mizrahi Jews, who can also be found in Jewish communities in parts of Africa and Asia. They are generally under-represented in Israeli society, with only nine per cent of the academic staff in universities being Mizrahi Jews despite them making up 40 per cent of Israel’s Jewish population. There are 15 Supreme Court judges in Israel and only two of them are Mizrahis. Their history has also been under-represented in school text-books, as most of the Jewish education in Israel is Ashkenazi-centric. They do not suffer the systematic oppression that Palestinians receive, but the fact that they were only allowed into Israel as a form of Jewish solidarity and are under-represented at official levels means that their heritage may not be as secure as many would like to think.